The processing of wastewater sludge for use or disposal has been a continuing challenge for municipal agencies. Yet, whensludge is properly processed, the resulting nutrient-rich product--biosolids--can be a valuable resource for agriculture and other uses. Wastewater Sludge Processing brings together a wide body of knowledge from the field to examine how to effectively process sludge to reap its benefits, yet protect public health. 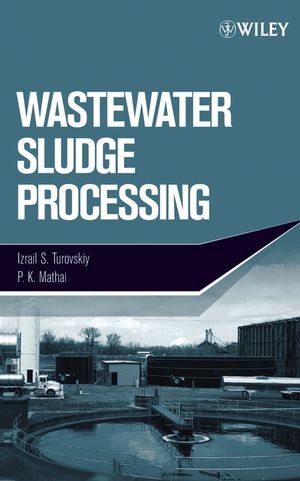 Presented in a format useful as both a reference for practicing environmental engineers and a textbook for graduatestudents, this book discusses unit operations used for processing sludge and the available methods for final disposition of the processed product. Topics discussed include sludge quantities and characteristics, thickening and dewatering, aerobicand anaerobic digestion, alkaline stabilization, composting, thermal drying and incineration, energy consumption, and the beneficial use of biosolids. 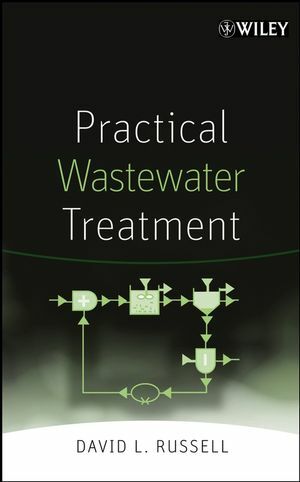 Written by authors with decades of experience in the field, Wastewater Sludge Processing is an invaluable tool for anyone planning, designing, and implementing municipal wastewater sludge management projects. IZRAIL S. TUROVSKIY is a wastewater and biosolids consultant in Jacksonville, Florida. He received a BS degree in civil engineering from Civil Engineering Institute, St. Petersburg, Russia; an MS degree in sanitary engineeringfrom Civil Engineering Institute, Moscow, Russia; and a DSc degree in environmental engineering from Municipal Academy,Moscow. He has more than fifty years of experience in environmental engineering, including time as head of the All-UnionResearch Institute of Water Supply, Sewage Systems, and Hydrotechnical Structures in Moscow. Dr. Turovskiy has patentsin Russia, France, Germany, Italy, Finland, and the United States. He has also authored or coauthored more than 200technical publications including eight books. P. K. MATHAI is a senior project manager and Associate Fellow in environmental engineering with Jacobs Civil, Inc. in St. Louis, Missouri. He received a BS degree in civil engineering from University of Kerala, India, and an MS degree in environmental engineering from University of Dayton, Ohio. He has over thirty years of wide-ranging experience in environmental engineering and has been involved in the planning, design, and technical review of over sixty wastewater treatment plants and sludge processing facilities. He is a registered professional engineer in Missouri, Illinois, Ohio, Kentucky, and Maryland.